GURPS Martial Arts brings fighting styles from throughout history to Fourth Edition. 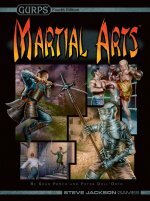 From popular Asian bare-handed techniques to European combat arts to fantastic non-human training, this book balances realistic historical schools with cinematic feats from Hong Kong, Tokyo, and Hollywood. Recreate the greatest fighters in the world, or create a style to fit a new campaign, Martial Arts has the techniques and guidelines you need. 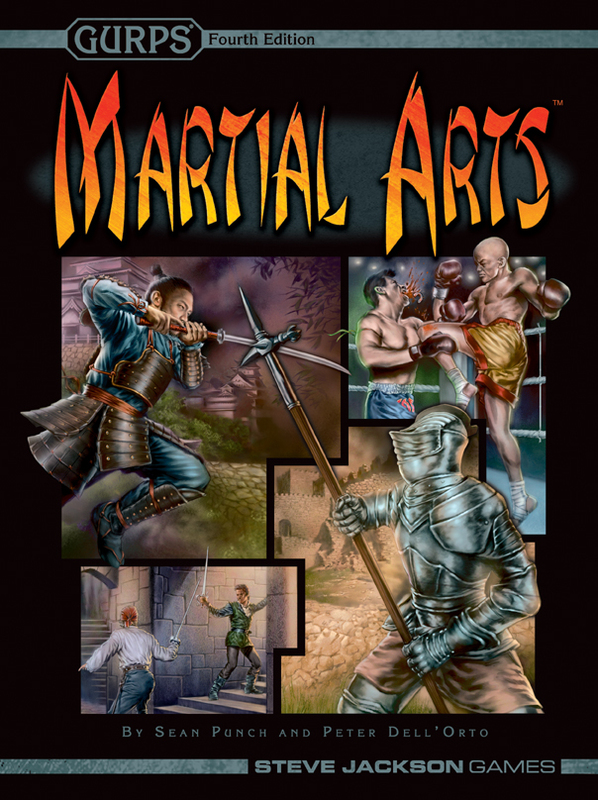 This book replaces and expands on the information and rules from the previous edition of GURPS Martial Arts for Third Edition. GURPS Martial Arts: Techniques Cheat-Sheet – A free game aid that summarizes all the combat techniques from GURPS Martial Arts. GURPS Martial Arts: Fairbairn Close Combat Systems – This supplement expands the historical information on Fairbairn and his peers, presents Defendu, the original style on which FCCT was based, in full GURPS terms, and introduces a complete style template for Fairbairn-Sykes Handgun Shooting, providing optional rules for using guns in close combat. GURPS Martial Arts: Gladiators – Visit the world of the Roman gladiator, and bring his fighting styles, weapons, and way of life to your campaign. GURPS Martial Arts: Technical Grappling – An expansion of Martial Arts that adds lots of options and greatly expanded rules, for those who need detailed possibilities for grappling combat. GURPS Thaumatology: Chinese Elemental Powers – An extensive and flavorful example of using powers to represent Chinese-inspired magical arts. Transhuman Space: Martial Arts 2100 – Learn the future of fisticuffs and discover how to incorporate GURPS Martial Arts into your Transhuman Space campaign. GURPS Martial Arts: Yrth Fighting Styles – The might of Martial Arts, in the fantastic setting of GURPS Banestorm! Pyramid #3/61: Way of the Warrior – A bounty of material of interest to Martial Arts fans, including new styles, rules for Technical Grappling, and more. Pyramid #3/69: Psionics II – Get new styles, options, and abilities that merge Martial Arts with GURPS Psionic Powers. Pyramid #3/105: Cinematic Magic – New magical options for martial artists.